Dr. Thushan DeSilva hails from Pittsburgh, PA and is a die-hard Steelers fan. Dr. DeSilva, with his wife and three children, has made San Antonio home since the year 2000. Dr. DeSilva earned his undergraduate biology degree from The Johns Hopkins University in 1992 as a Phi Beta Kappa graduate. He received his medical degree from the University of Pittsburgh School of Medicine, where he also completed his internal medicine and dermatology residency. During his final year of residency, he served as Chief Resident. 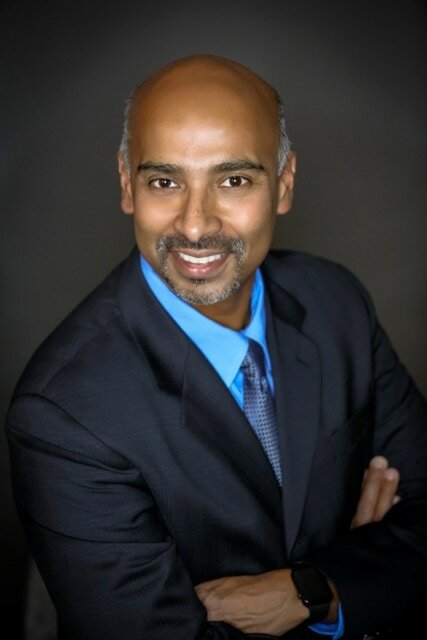 Dr. DeSilva is a Board Certified dermatologist with 17 years of post-residency experience in San Antonio, prior to starting his own practice in Boerne in January of 2017. He has been a member of the San Antonio Dermatology Society since 2000 and served as president from 2009 to 2011. Dr. DeSilva was recently listed as a Top San Antonio Doctor by S.A. Scene Magazine for 2018. Dr. DeSilva also has a passion for teaching. He has volunteered as a clinical instructor at the Dermatology Residency Program at The University of Texas Health Science Center at San Antonio since 2000. He is also a leader in psoriasis and speaks for numerous companies with cutting edge therapies. He is one of only two certified Allergan injector trainers in the San Antonio area for Botox® and Juvederm® fillers. Outside of medicine, he enjoys running, skiing and spending time with his family.